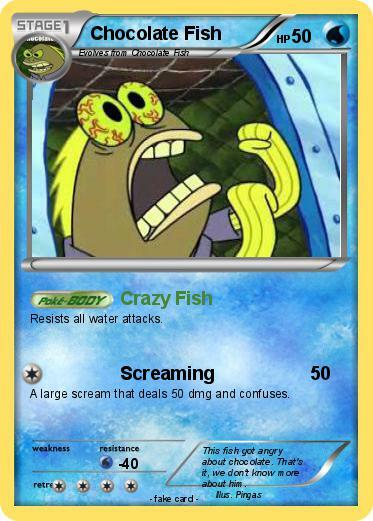 A large scream that deals 50 dmg and confuses. Comments : This fish got angry about chocolate. That's it, we don't know more about him.